Foreign currency exchange is the most volatile market and available for trading 24hours a day. Everyday there is 3 trillion worth of currency change hand on the market. MT4 is a trading platform for trader to buy and sell currency through a broker account. This trading platform provides charting and programming language. This programming which is commonly called Expert Advisor (EA). Trader can program their winning strategy into EA and use the simulator to back test them. Back testing will show results base on historical currency price, which is similar to paper trading. I will explain some factors which will help the backrest results to be comparable to live result after your EA is enable on live trading account. These factors will help you in your simulation results but you have to understand that trading involve risk. 1) Adding Delay in your EA. In the simulator, delay is not importance and serve as a pause while executing in back testing mode. But to live trading is actually waiting for price changes in the live server and serve as a delay task for trade opening at server side. The historical data is stored in smallest data of 1 minute interval and a delay of 1 or 2 minutes will help live data server to execute with similar results as back testing. Most common trading platform uses 1 minute (M1), 5 minutes (M5), 15 minutes (M15), 1 hour (H1), 4 hours (H4), 1 day (D1) and 1 week (W1) charts. The trading platform also have common chart indicator like Simple Moving Average (SMA), Exponential Moving Average (EMA), Common Channel Indicator (CCI), Relative Stochastic Indicator (RSI) and Bollinger Band (BB). By experiences, choosing a chart time frame of M15 or H1 is idea as this can effective project the trend of the currency in the next few hours to few days. Using of Open, Close, High and Low values of M15 or H1 will yield better results thus closing the difference between Demo and Live trading. 3) 5 to 8 pips of additional stop loss. Most broker provides a Bid-Ask difference (Slippage) of 2 to 5 pips depending on the currency pair. This Bid-Ask is the buy and sell difference when you execute trades. Many of the EA does not include this slippage and thus product very different results when trading live account. Base on my experiences, you have to put in minimum 30 pips additional to your stoploss. This is because during outbreak of news, the currency slippage may increase up to 20 or 25 pips, and cause many unexpected losses to your live account. You always have to back test your strategy again when includes the above factor into your EA and review the results. Many good strategies is fine tune to provide maximum results in all trading condition. You can back test using various parameter and different indicator. The results produce will vary with different stop loss and delay. Finally, the execution speed and fulfilling of trade orders by the live server are also import to yield positive trading results. Always choose a popular trading partner, start live trading after you tried demo trading with positive winning results. 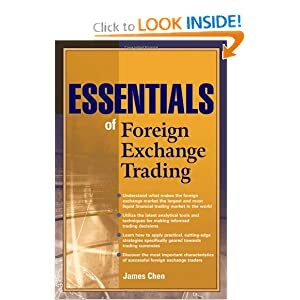 This currency trading book provides readers with real, practical information on how to trade the foreign exchange market effectively. It begins by covering introductory information on the forex market, including basic trading mechanics and the benefits of forex trading, and then goes on to describe specific currency trading methods and skills in step-by-step detail. This includes highly practical information on technical and fundamental analysis, risk and money management, and powerful forex trading strategies. 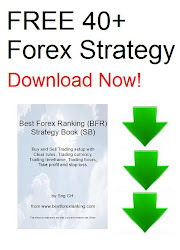 These strategies have proven extremely effective in helping traders play the forex game to win. 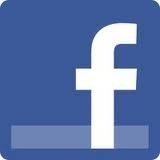 JAMES CHEN, CTA, CMT (Montville, NJ) is Chief Technical Strategist at FX Solutions, a leading foreign exchange broker. An expert on forex trading and technical analysis, he is also a registered Commodity Trading Advisor (CTA) and a Chartered Market Technician (CMT). Mr. Chen writes daily currency analysis, leads forex trading seminars, and has authored numerous articles on currency trading strategy and technical analysis for major financial publications. 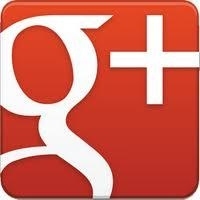 These include Forbes.com, Futures Magazine, Technical Analysis of Stocks and Commodities Magazine, and Stocks, Futures and Options (SFO) Magazine. To thrive in the marketplace traders must anticipate, enter, and stay with trends in the foreign exchange market. In this much-needed guide top forex, expert Greg Michalowski clearly explains the attributes of successful traders, and shows how traders can set themselves up for success by drafting an explicit mission statement and game plan. The book also contains the tools and techniques traders need to read the markets and identify when a market is in a trend. Michalowski shows traders how to enter an emerging trend, how to manage the position, and how to exit the position most effectively. With this book, Michalowski offers an important resource for identifying and riding out long-term trends in the volatile foreign currency. Making money while limiting risk is something every good trader strives to do. But in order to achieve this goal you need a firm understanding of financial markets, as well as the tools that will allow you to effectively apply sound trading strategies in them. 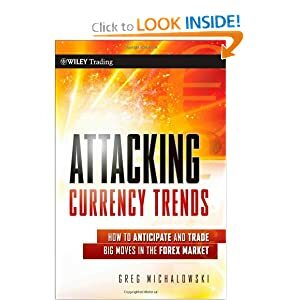 Nobody understands this better than author Greg Michalowski—a market veteran who has spent the last ten years with retail forex brokerage company FXDD—and now, with Attacking Currency Trends, he shares his experience in this field with you. Following a step-by-step approach and progressing in a logical manner, this practical guide will help swing trading results in your favor by showing you how to better anticipate and attack the trend in currencies. Divided into two comprehensive parts, this reliable resource opens with a detailed discussion of how to build a solid foundation for your currency trading. Here, you'll become familiar with the attributes of all successful traders and discover the essential characteristics of retail currency traders. Along the way, you'll also be introduced to specific elements that will allow you to excel in attacking forex trends—namely a mission statement, a game plan, and rules. After explaining how to develop a solid foundation, the book transitions into the technical tools and strategies used to anticipate and manage forex trends, define risk, and control fear. You'll gain valuable insights into three main charting tools—moving averages, trend lines and remembered lines, and Fibonacci retracements—and learn why successful currency traders look at short-, intermediate-, and long-term time periods equally and trade using all three. Relevant examples are also included, highlighting how trading does not always have to be complicated. 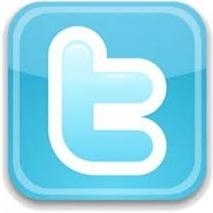 Success in currency trading, as in any business, is based on building the right foundation and using the proper tools. Combining his years of trading experience with his knowledge of retail traders and the nuances of the currency market, Greg Michalowski has created an accessible trading guide that will help you minimize risk, keep fear in check, and capture consistent profits in today's dynamic currency market. Greg Michalowski is the chief currency and trading analyst for FXDD. Prior to joining FXDD, he was an assistant vice president and trader in the treasury / funding area with Citibank in New York, a vice president and interest rate derivatives trader at Citibank in London, and a vice president and trader in the banks funding department at Credit Suisse First Boston. Michalowski maintains a daily market commentary and currency analysis website at fxdd.com.His market comments are quoted in the financial pressby Bloomberg.com, Reuters, and the Wall Street Journal,and he has written for various print and online trading publications, including eForex, Equities magazine,forexstreet.com, stocktwits.com, and forexfactory.com.His twitter site, twitter.com/gregmikefx, was one of thirteen cited by SmartMoney magazine as a "go to" source for making money moves.